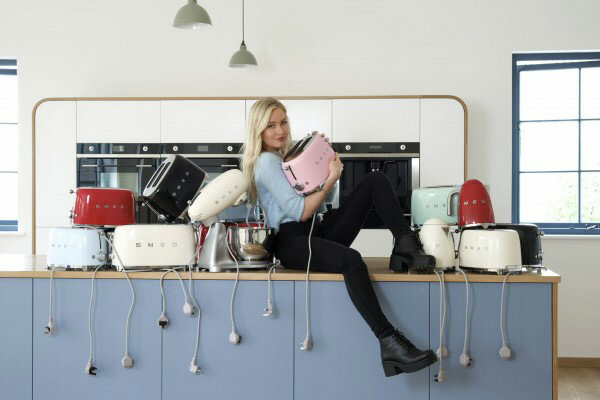 Photoshoot of our Air Kitchen with Smeg’s lovely new retro kettles, toasters and mixers. 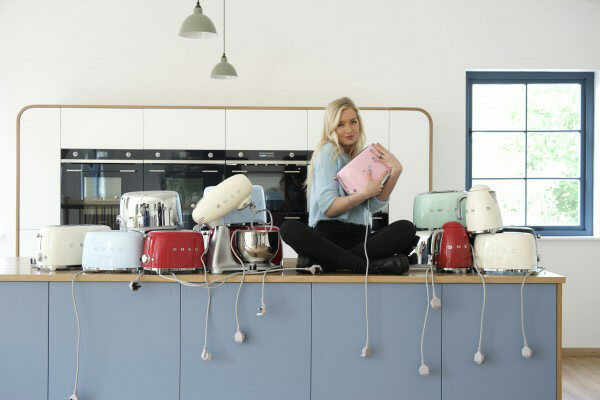 We just did this photo shoot with Smeg’s small domestic appliances. 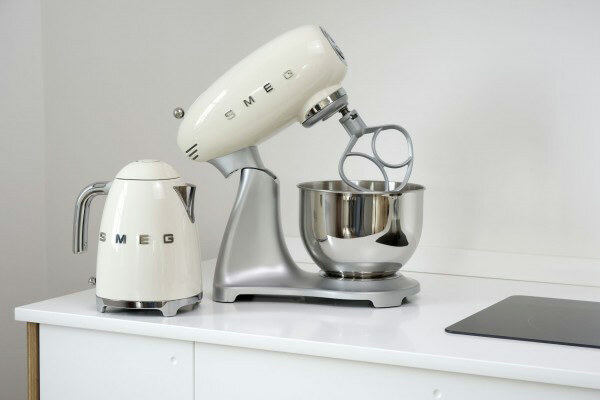 We first teamed up with Smeg about two years ago; it started with us getting free appliances to include in the 100% design show launch of the Air range. 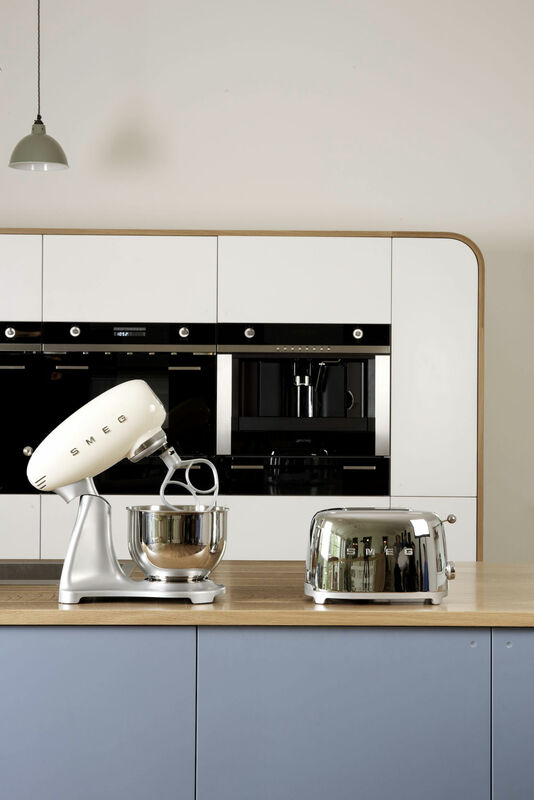 Smeg then wanted us to design their stands and furniture for their shows at Ideal Home, Grand Designs etc. 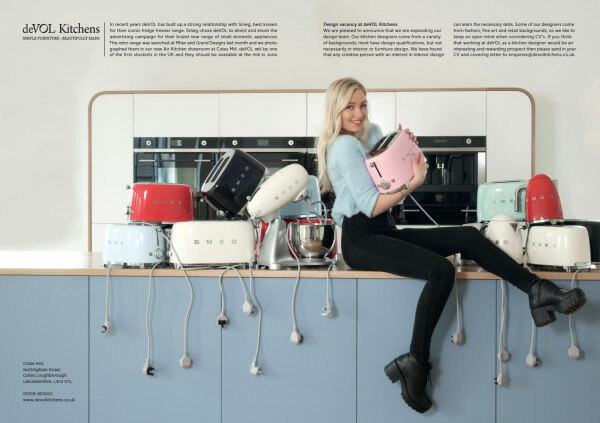 When they launched their range of retro range cookers they brought them all to the mill and we shot them in our showrooms with our furniture alongside. 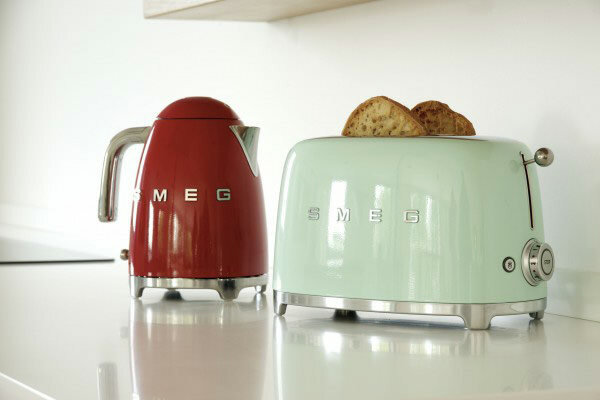 Smeg had never done lifestyle shots before; their catalogues had always shown product cut outs on a white background. The Italian bosses wouldn’t have it any other way. But the UK marketing guy went out on a limb and did it anyway in the hope that the Italian bosses would change their minds. 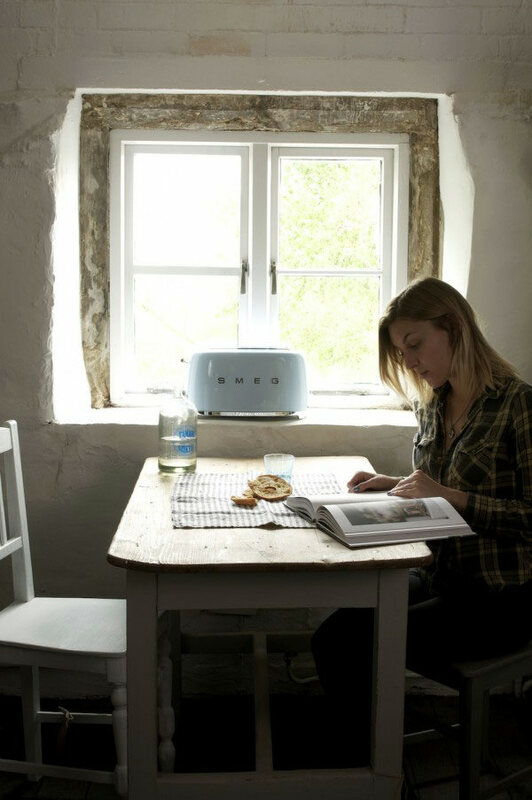 When John Lewis used our photos to market the range cookers and they quickly became their best sellers the Directors in Italy saw the benefits. 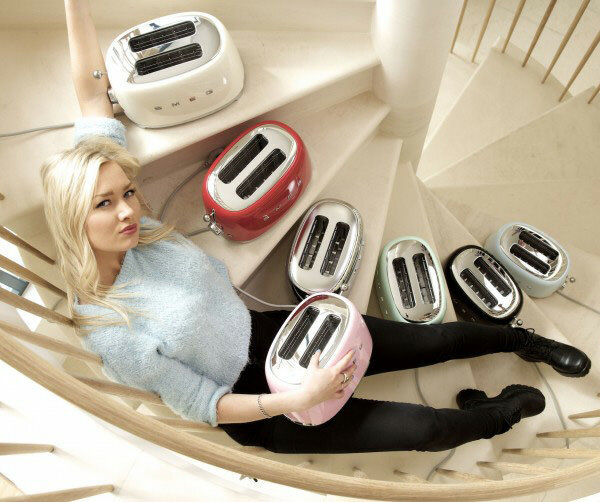 So, when we got wind of the new range of toasters, kettles and mixers, we were keen to include them in our next photo shoot, we wanted to create images that capture the imagination, make people giggle and get shared and repinned. Some are good for brochures, but to flourish as a social networking image, you need humour, something off the wall, something cool and stylish. Here’s what we came up with.